EnregistrerAnother very tall shelf stack over at Reading Reality this week. I'm so happy these are all ebooks. If they were print the house would sink! The scary thing is that in the days before NetGalley and Edelweiss, I used to buy books at just about the same rate. OMG. As always, I have a couple of books to tease you with. This one isn't going to be out until well into next year, but I couldn't resist picking it up. The premise, of a disgraced cop who ends up commanding a squad of misfits, sounds very much like one of my favorite British TV crime dramas, New Tricks. And if it's half as good, it should be a real treat. 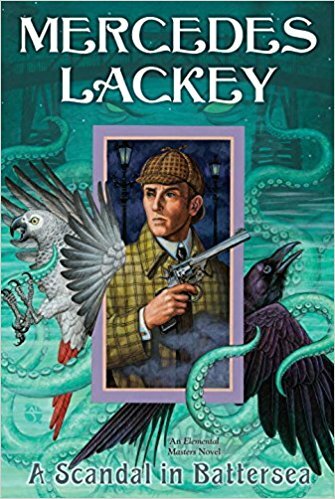 If the title and the cover don't give this away, A Scandal in Battersea is a Sherlock Holmes pastiche set in the world of Lackey's Elemental Masters. I absolutely ADORE Holmes' pastiches, and Lackey is one of my favorite authors. What's not to love? Enjoy those books, and thanks for hosting. These look really good. 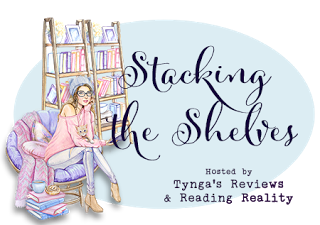 I hope you enjoy them :) I actually behaved myself and only bought one new book this week, haha. 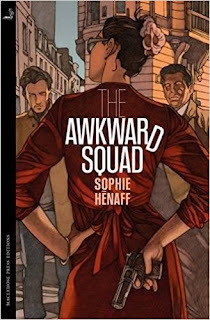 The Awkward Squad looks like it'd be a fun read. Enjoy!